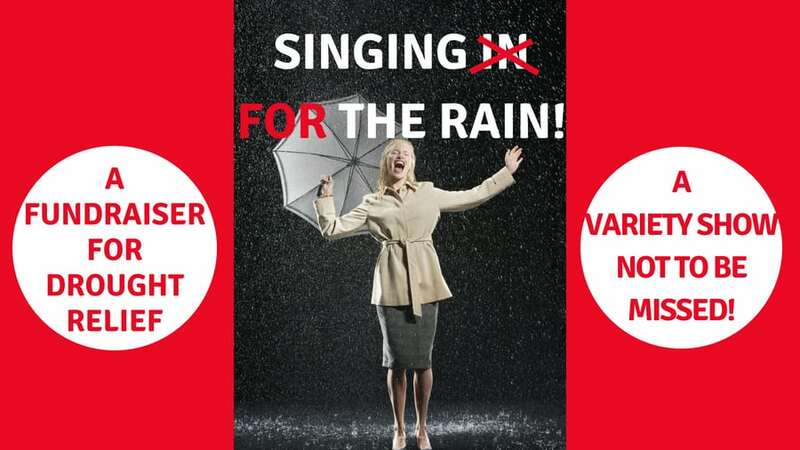 "From recent fund raising projects in Noosa, including the very successful “Singin’ for the Rain” concert at the “J” last month, the Rotary Club of Noosa Heads has raised $17,100 to contribute to Drought Relief. This amount includes $2,100 from Rotary Noosa Daybreak and $700 from the Noosa Vietnam Veterans Association. After researching towns that have not already been sponsored by others, the Club has identified the Western Queensland Town of Quilpie, as a worthwhile recipient. Working with the Quilpie Country Womens Association, the money will be given to needy families, both in the town and on farms in the district. A total of 57 families will each receive, a $100 voucher for the town Butcher and a $200 voucher to spend at one of the two Supermarkets in the town. A selection of recipients from the Quilpie Drought Relief project.